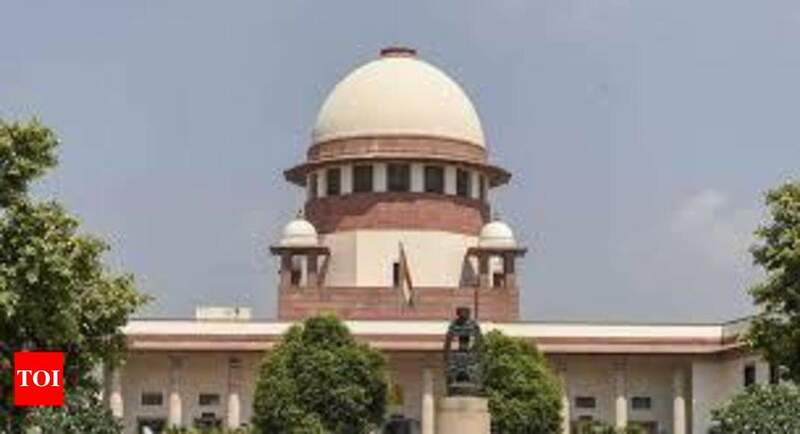 HYDERABAD: The Supreme Court has given notices to the States of AP and Telangana, their health universities, the union health secretary and the directorate general of health services asking them to explain their stand on a public interest petition that charged them with misinterpreting sliding rules while filling PG medical seats. The bench of Justice S A Bobde and Justice S Abdul Nazeer gave these notices while admitting the petition filed by Justice V Eswaraiah, President, All India Backward Classes Federation, who contended that the misinterpretation was adversely affecting the OBC quota in the NEET admissions. Both the laws and the GOs that were brought in to implement them were saying that whenever a BC candidate secures a seat under open category by virtue of his high marks, he should be treated as an open candidate and not as a reserved candidate, the petitioner said. In the online admissions process, all meritorious candidates have got the facility of choosing their choice of speciality irrespective of the speciality subject seat he or she was initially allotted. This is called sliding. But when a BC merit candidate slides for a different speciality subject of his choice, the officials are vacating a seat meant for BCs and allotting such seats to the BC merit candidates. As a result of this, the seats meant for BCs are being reduced and open merit BC candidates are being shown in the reserved BC category. As 27 percent seats are to be filled by OBCs, the officials are supposed to keep the BC quota intact regardless of these slidings, Justice Eswaraiah said. But in reality, this sliding method is being implemented in a faulty manner that is detrimental to the interests of BCs, he said. He brought to the notice of the court the manner in which the MBBS admissions were made by NTR health university in AP and Kaloji health university in Telangana in 2018 that did gross injustice to more than 1000 BC candidates in both states. Even Supreme court found fault with the methods adopted by the authorities, he said. Now the authorities have issued the schedule for conducting the counselling for the admissions into PG (MD/MS) and PG Diploma Courses for 2019-20 which was commenced from March 12, 2019. Justice Eswaraiah urged the bench to direct the authorities to keep the BC quota intact and not reduce it by misinterpreting the sliding rules. It can be recalled his petition questioning non-implementation of OBC quota in NEET national pool admissions was also admitted by the Supreme Court earlier.